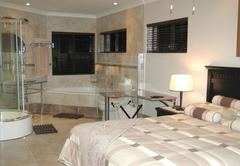 Bon à Vie is a 4 star graded B&B with self catering option, offering East London accommodation for tourists and visitors of on the Sunshine Coast. Spoil yourself and enjoy the best in life. 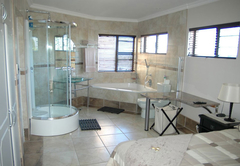 Come and experience the ultimate luxury of our up market fully equipped non-smoking B&B or self catering units at affordable rates. We are rated as a four star establishment by the Tourism Grading Council of South Africa and rated "Superior" by the AA Travel Guide. 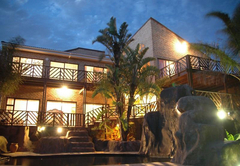 Bon à Vie is situated in Gonubie, an increasingly popular holiday destination near East London. 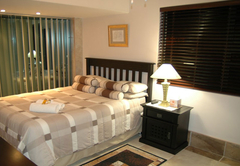 It is the perfect place to stay for business trips, holiday, sporting events, visiting family, or just a stop over. Bon à Vie is graded as a four star establishment by the Tourism Grading Council of South Africa and rated "Superior" by the AA Travel Guide. 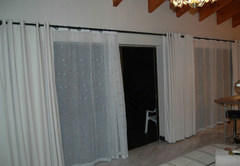 The garden unit with its own enclosed garden and private entrance sleeps up to 3 and consists of a bedroom with queen sized bed - linen and towels supplied. 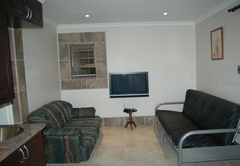 An open plan Lounge / kitchen with a 32" Plasma Screen TV (DSTV), sleeper couch, 4 plate stove, microwave and fridge freezer. Off the street parking available. 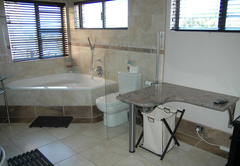 The 2 bedroom unit with its own entrance and garage sleeps up to 5 and consists of a main bedroom with queen sized bed - linen and towels supplied. 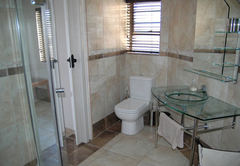 Spotless en suite bathroom with bath and shower and sliding door which open up on to a balcony. 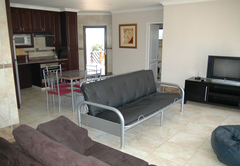 The open plan Lounge / kitchen / dining room has DSTV & Hi Fi, sliding door opening up on to a balcony, sleeper couch, 4 plate stove, microwave and fridge freezer. 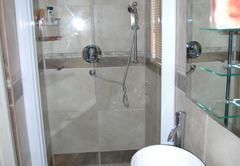 The second bedroom has a double bed - linen and towels supplied and spotless en suite with shower. 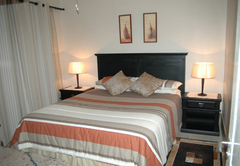 The Upperdeck consists of a bedroom with queen bed, sleeper couch, 32" plasma TV with full DSTV, small kitchen with fridge / freezer, 2 plate stove / oven combo, bathroom and it is overlooking the pool and with a sea view. 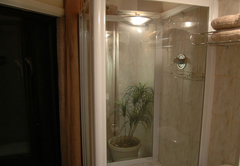 It also includes a lockable garage. 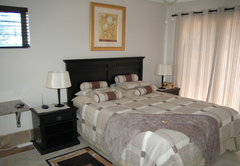 Double room en-suite with queen size bed, lounge area with double sleeper couch, overlooking pool area. 32" plasma TV with full DSTV, fridge / freezer and microvawe. • Laundry service available on request at a nominal fee. 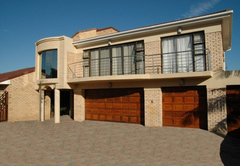 • 15 kilometers drive from Vincent Park, East London. Own entrance with lockable garage. 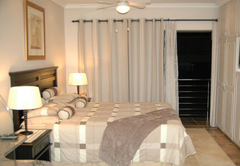 Main bedroom with Queen-size bed, en-suite bathroom with bath and shower. 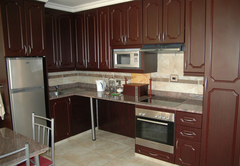 Open plan lounge/kitchen/dining room, full DSTV, sleeper couch, stove, fridge freezer, microwave. 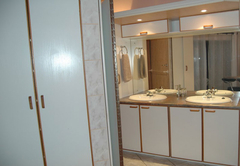 Second en-suite bedroom with double bed. 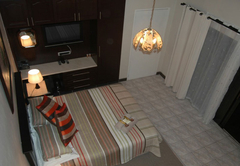 The garden unit with its own enclosed garden and private entrance sleeps up to 3 and consists of a bedroom with queen-size bed, an open-plan lounge/kitchen with a 32" Plasma TV (full DSTV), sleeper couch, 4 plate stove, microwave, fridge freezer. 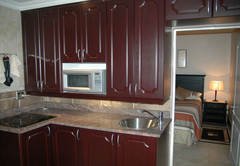 The Upper Deck consists of a bedroom with Queen-size bed, couch, 32" Plasma TV with full DSTV, small kitchen with fridge/freezer and 2 plate stove/oven combo, and bathroom. 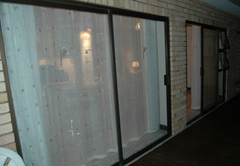 It overlooks the pool and has a sea view. 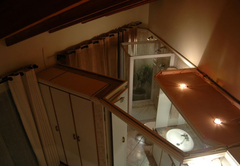 It also includes a lockable garage. 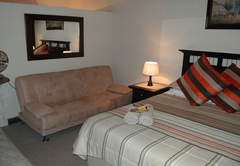 Double room en-suite with Queen-size bed, lounge area with sleeper couch, 32" plasma TV with full DSTV, fridge / freezer and microwave. Overlooks the pool area. Excellent stay, very professional and friendly service. 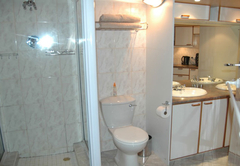 Rooms were of a high standard. Would book again. 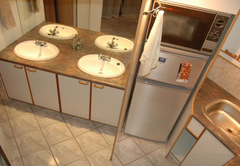 This BnB offers excellent service,I had an awesome stay and would highly reccomend it to anyone. Response timeBon à Vie typically responds to requests in 5-10 minutes. Child policyChildren of all ages are welcome, a sleeper couch and cot are available on request.